Legion season 3 is officially a go. 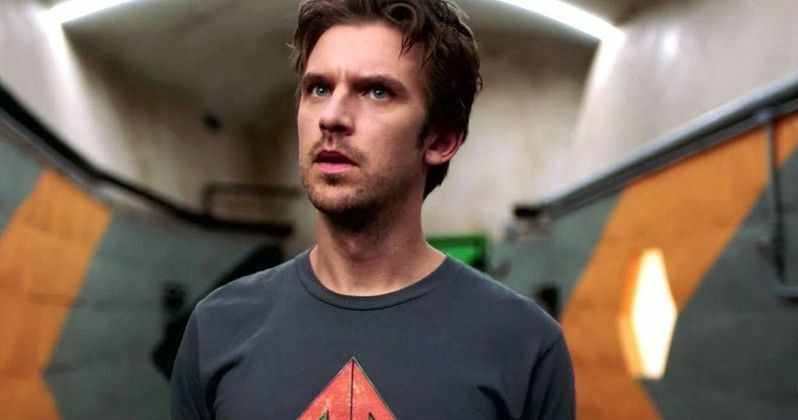 FX Networks has announced that the Noah Hawley Marvel series will be getting at least one more batch of new episodes following the conclusion of its sophomore season, which currently has two more episodes left to air. Here's what FX president of original programming Eric Schrier had to say about the decision to renew Legion for a third season. "Legion has redefined the superhero drama and exceeded all expectations as the intensity and revelation build through the second season. We are incredibly proud of Noah Hawley's achievement and are honored to continue the series as it pushes the boundaries of conventional television storytelling. We are also grateful for the contributions of our executive producers, John Cameron, Lauren Shuler Donner, Simon Kinberg, and Jeph Loeb with Marvel Television, as well as our outstanding cast and crew of this groundbreaking show." Noah Hawley and FX have had a productive partnership. In addition to Legion, Hawley also created the Fargo TV series, which is currently on hiatus but will return for a fourth season in the future. While Legion may not be the biggest name in Marvel right now, Marvel, in general, is one of the strongest brands in entertainment. So keeping a critically-acclaimed Marvel series from one of the more gifted minds working in the TV landscape right now doesn't come as a big surprise, but surely comes as a welcome bit of news to those who have been enjoying the strange trip this show has to offer. Legion stars Dan Stevens as David Haller, Rachel Keller as Syd Barrett, Jean Smart as Melanie Bird, Aubrey Plaza as Lenny Busker, Jeremie Harris as Ptonomy Wallace, Amber Midthunder as Kerry Loudermilk, Bill Irwin as Cary Loudermilk, Katie Aselton as Amy Haller, Jemaine Clement as Oliver Bird and Navid Negahban as the Shadow King. This renewal comes in the wake of FX's decision to scrap the Deadpool animated series, which was in the works from Donald Glover. That project's cancellation was met with a very poor reaction from many online who were excited about the prospect of what someone like Glover could bring to a character like Deadpool. At least this renewal will help keep FX in the Marvel game for another year. Elsewhere, Noah Hawley is working on another Marvel project in the form of a Doctor Doom movie, which was first announced at San Diego Comic-Con last year. Though, updates on the project have been few and far between since and the Disney acquisition of Fox, assuming it's approved next month by shareholders, may well get in the way of that movie ever coming to light. As for Legion season 3, there is no word currently on when it will go into production or when it will make it air, but we'll be sure to keep you up to date as that information is made available. This news comes to us courtesy of The Hollywood Reporter.